Being verified on Instagram and getting that mysterious blue tick – otherwise known as the ‘verified badge’ – is something that quite a few Instagram users would L-O-V-E to have on their profile. But how do you actually get one of these ticks of approval on your Instagram account? Is there a special form to fill out, a secret handshake, or a glitch? UPDATE: As of July 2018 Instagram has opened up the verification process to be more accessible. You can now apply for verification quickly and easily within the app from the settings for your profile. You will need to submit a photo ID. As of right now, we speculate that verification will be an easier process for those who have a personal Instagram account or who use their real name as verification requires formal identification like a drivers licence. Note, they still aren’t 100% transparent on their verification process. Getting that blue verification tick on your Instagram profile might just be a goal you have. But let us warn you, it isn’t easy to get verified on Instagram! Instagram is actually known to have one of the most difficult verification programs when compared to Twitter and Facebook. It is a process that is pretty mysterious. Over the years there have been rumours swirling around the internet about how you can buy Instagram verification or hack your way to the top, but really, those methods can actually cause you more harm than good. 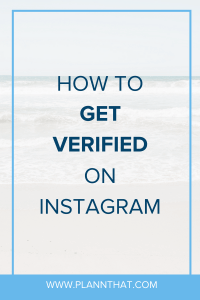 So, if you want to go about getting your Instagram account verified in the safest way possible, here are our best tips for you. There are celebrities and other well-known people with large Instagram followings that still don’t have a verification badge. It is actually said that the reason why they don’t get that special badge is that Instagram knows the ugly truth. They’ve paid for followers. No matter how many followers or how long ago since you bought followers ‘under the table’ – if you’ve done it, you can kiss that blue badge goodbye. So, if you want to get verified on Instagram, don’t buy fake followers! So, who are the people most at risk? 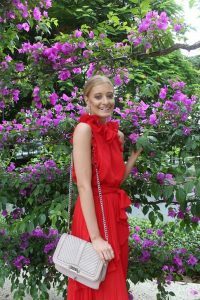 Do you have to be a celebrity featured in all of the glossy magazines? Surprisingly not. You can show Instagram that you are at risk of being impersonated by simply switching out your usual Instagram bio link for a link to another Social Media Network that you have a large following on. Maybe you’re a Youtuber, or you have a massive following on Twitter. Either way, if you put that link in your bio for a while, you may notice that the blue verified tick magically appears. Huzzah! As part of your Instagram Marketing strategy, if getting verified on Instagram is important to you, it might be worth trying to grow a large following on another social media platform at the same time as you grow your Instagram following. Now, this factor is really interesting! 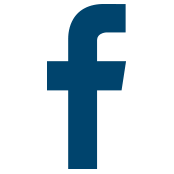 It has been said that it is important to the verification process that your brand has an active Facebook fan page. This is to increase your chances of being approved to be verified on Instagram. Apparently, if someone has a strong Instagram presence, but their Facebook page isn’t getting a lot of engagement, it proves to them that they aren’t really at risk of being impersonated. Therefore, they’re not worthy of being verified on Instagram. Instagram’s verified badge is designed to be given to accounts who are the most popular brands and people in the world. So if they have little or no Facebook page following when Facebook is the most popular Social Media network in the world, are they really that well-known? When asked, the majority of people who are verified on Instagram didn’t notice any difference in their profiles as soon as the special blue tick made its way onto their profiles. Our recommendation? Try and focus on creating an engaged Instagram community by sharing quality content consistently. There is no fast-track to becoming Instagram-famous without putting in the work! So there you have it. That was the juicy scoop on how you can get your account verified on Instagram. All without paying big bucks or hacking your way to the top. 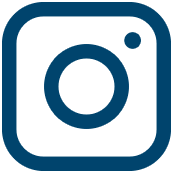 We’re all about authentic Instagram account growth at Plann. So, if that is your jam too we’d love for you to download the Plann app and start scheduling your Instagram posts so that you can stay consistent as you grow your following. PSST -> Plann is FREE to use and available on both iPhone and Android. HUZZAH!